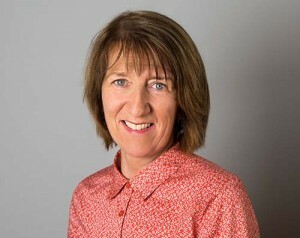 Margo Birmingham is a native of Letterkenny and studied Physiotherapy at UCD, qualifying in 1981. After graduating, she worked in Letterkenny General Hospital, Donegal District Hospital, Glasgow Area Health Board and in Australia, spending time in acute clinical hospitals and private practice. 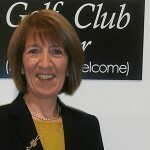 On her return to Letterkenny, she opened the first private physiotherapy clinic in Donegal. Her husband, Dr Murrough Birmingham, Family Doctor opened his practice one year earlier. They have been working from our current premises for almost 25 years. Margo holds a specialist qualification in Acupuncture and specialises in the treatment of joint and soft tissue injuries using Acupuncture with great success. 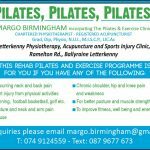 This year, Margo will be 34 years qualified, giving her a wealth of experience and competence in managing injuries, pain, and stiffness and prescribing the appropriate rehabilitation to strengthen the weak muscles.